The contribution of the Dutch craftsman and scholar Isaac Beeckman to early modern scientific thought has never been properly acknowledged. Surprisingly free from the constraints of traditional natural philosophy, he developed a view of the world in which everything, from the motion of the heavens to musical harmonies, is explained by reducing it to matter in motion. His ideas deeply influenced Descartes and Gassendi. Klaas van Berkel has succeeded in unearthing and explicating Beeckman’s scientific notebooks, allowing us to follow how he developed his new philosophy, almost day by day. Beeckman was almost forgotten until the discovery of his notebooks in the early twentieth century. 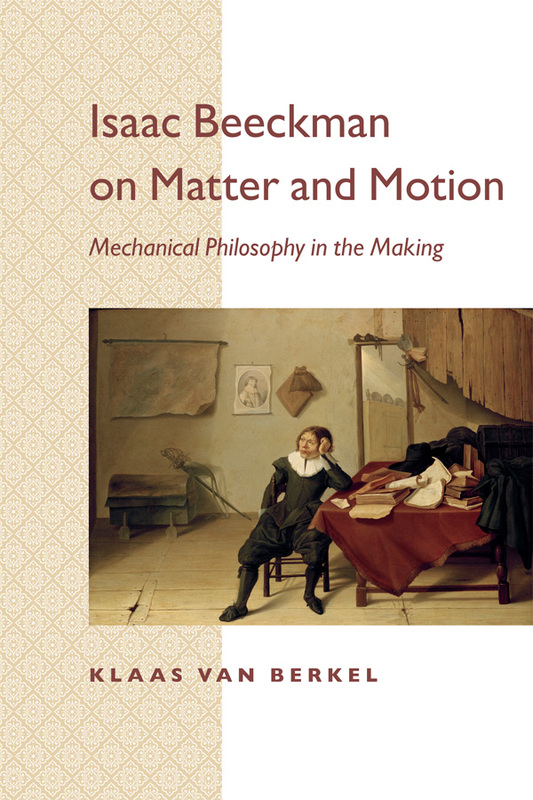 Isaac Beeckman on Matter and Motion is the first full-length study of the ideas and motives of this remarkable figure. Van Berkel’s study first relates Beeckman’s life, placing him in the religious, intellectual, educational, and social context of the Dutch Republic in its golden age. Van Berkel then analyzes the notebooks themselves and the nature and development of Beeckman’s “mechanical philosophy.” He demonstrates how Beeckman’s artisanal background and religious convictions shaped his natural philosophy, even as the decisive influence stems from the educational philosophy of the sixteenth-century French philosopher Peter Ramus. Klaas van Berkel is the Rudolf Agricola Professor of History at the University of Groningen. Text adapted from Johns Hopkins University Press press release.